I have a daughter and being a girl myself I understand things about her. Being that I am not a girly-girl, there are things about her I do not understand. That is why I am grateful, thankful, blessed-ful to have sisters. The Aunties do things for my girl, that I do not. Simple things like painting nails. Don’t judge. I rock at climbing trees and so does my daughter. But I do not paint my nails. Well ok, not ever, I will for a great costume, but that polish is coming off the next day. And the costume better be spectacular! 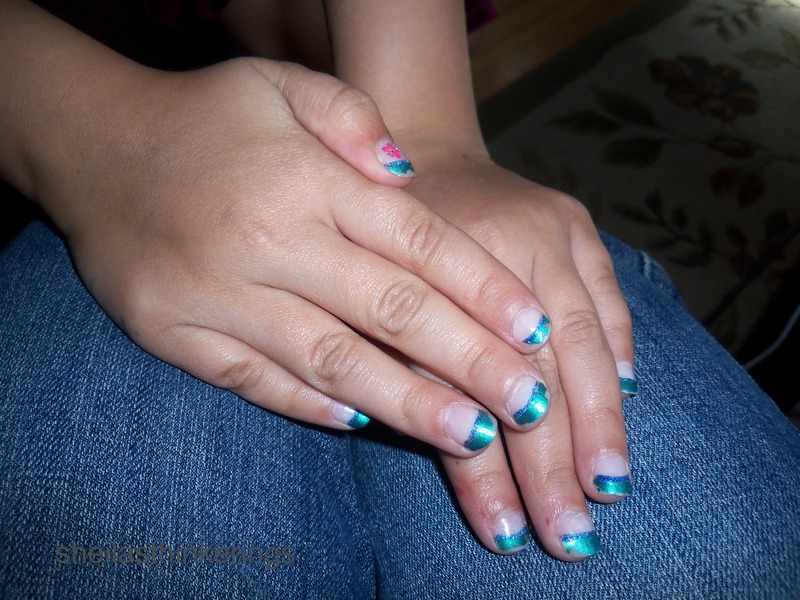 My daughter loves to paint her nails, so the Aunt Jeanine gave her a mani and a pedi! A fancy one too! Nice job Auntie J! We love you!